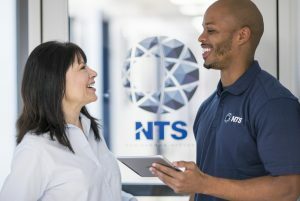 One of our core competencies, NTS focuses on the selection of new nuclear grade components, their qualification, and if needed, their dedication for safety-related applications. We offer qualified replacements for many electrical and mechanical safety-related components that are no longer available from OEMs. NTS certifies equipment for Class 1E installation for mild or harsh environments to IEEE 323 and IEEE 344. 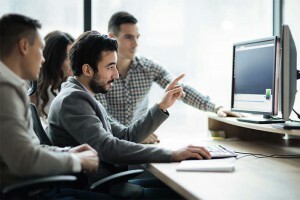 These systems include instrumentation, digital recorders, batteries, gauges, motors, panels and chillers from manufacturers such as Bussman, Siemens, Yokogawa and GE. NTS can also provide engineering evaluations to determine the best potential replacement from over 200 manufacturers of nuclear grade equipment. All programs are conducted in accordance with 10CFR50 App. B and 10CFR21. As members and direct participates in industry task groups, NTS maintains a clear edge in the industry. We are involved in developing standards, guidelines and resolution of key NRC questions about critical characteristics verification, sampling, traceability, surveys, and like-for-like replacements. Our nuclear staff meets ANSI N45.2.6 Level II Inspector requirements, and our nuclear dedication programs are tailored to each application and nuclear safety related product. NTS also provides technical evaluations, critical characteristics and safety class determinations. NTS works to save you time and expense with our qualification databases. By flagging potential problems during pre-qualification, upgrades can often be based on prior NTS testing. Our extensive engineering staff and in-house test facilities fully support your field teams, including a complete architectural and engineering division. We operate three single axis, triaxial and biaxial seismic machines—plus numerous accident and aging chambers—to quickly respond to your needs. NTS houses more than 30 different aging ovens for environmental qualification programs. Thermocouples and electronic temperature controllers are used to maintain the specified thermal aging temperature. Temperatures are continuously recorded and maintained within +5/-0°F of the specified thermal aging temperature. Redundant controllers are used to prevent overheating of the test samples in the event of a malfunction of the main controller. In addition to aging ovens, our Nuclear Center of Excellence features a LOCA Test Facility with five permanent LOCA test chambers. These test chambers use saturated and superheated steam, compressed air, and water or chemical spray. LOCA-installed test samples can be provided with various electrical and mechanical inputs. Test chamber and test sample operability parameters are recorded on a state-of-the-art digital data acquisition system. Let us help you keep your nuclear equipment, and your plant, optimally productive, Request a Quote today.